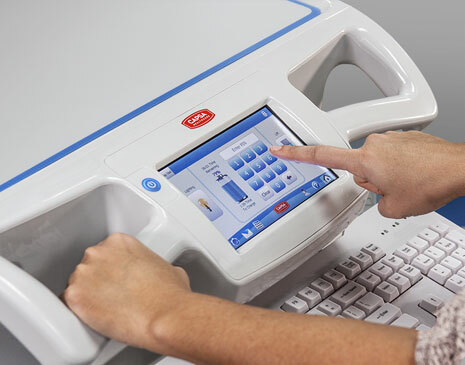 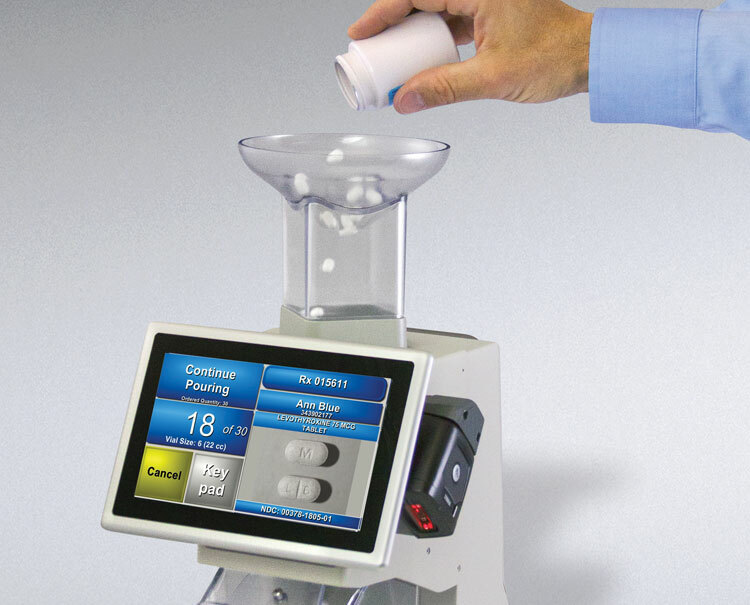 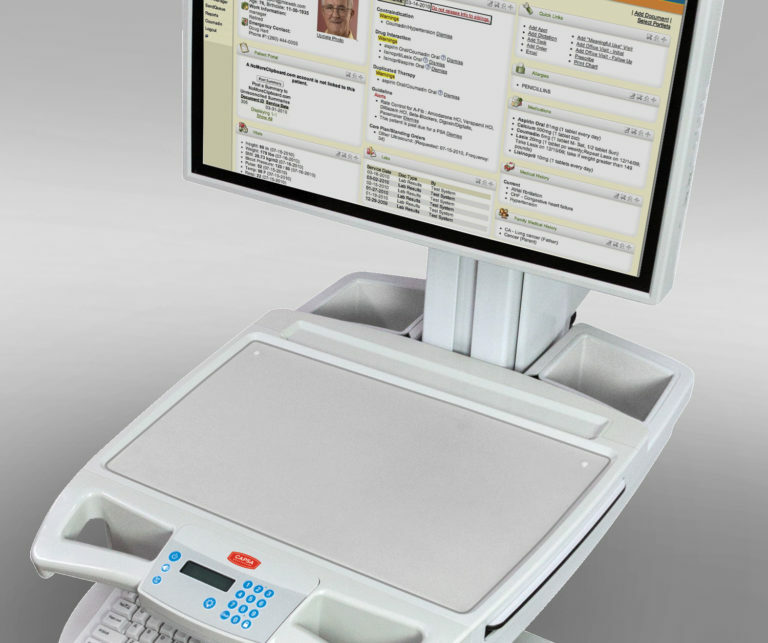 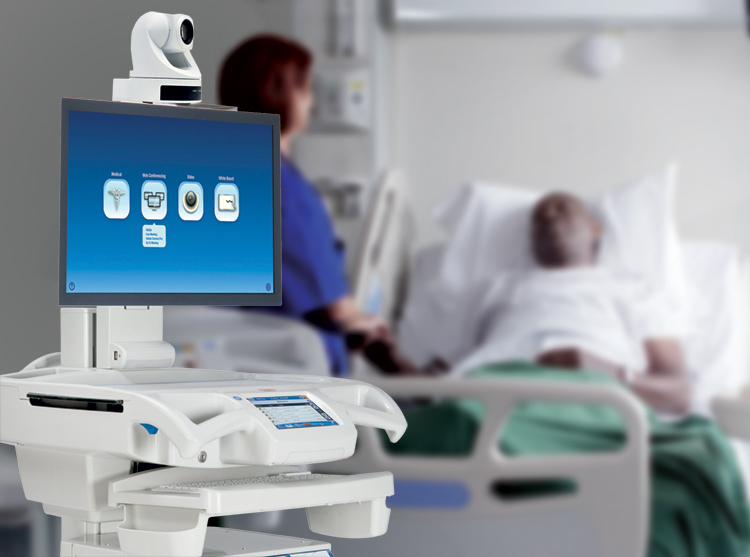 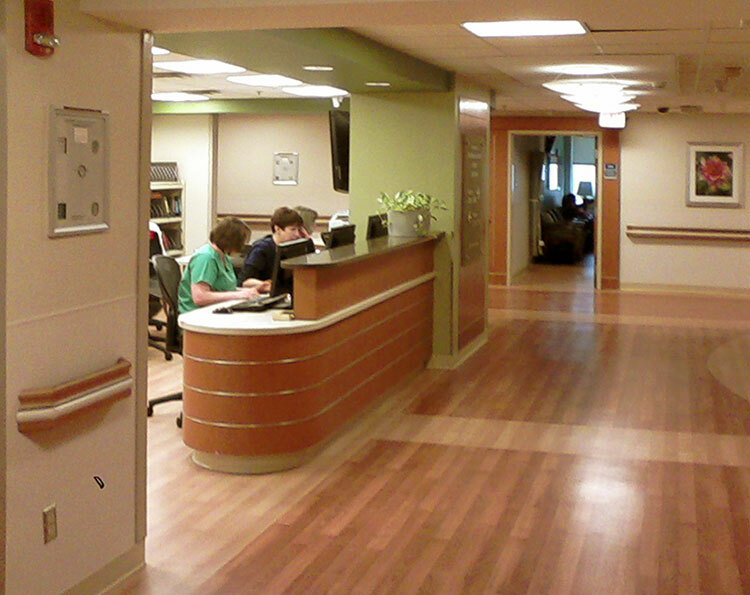 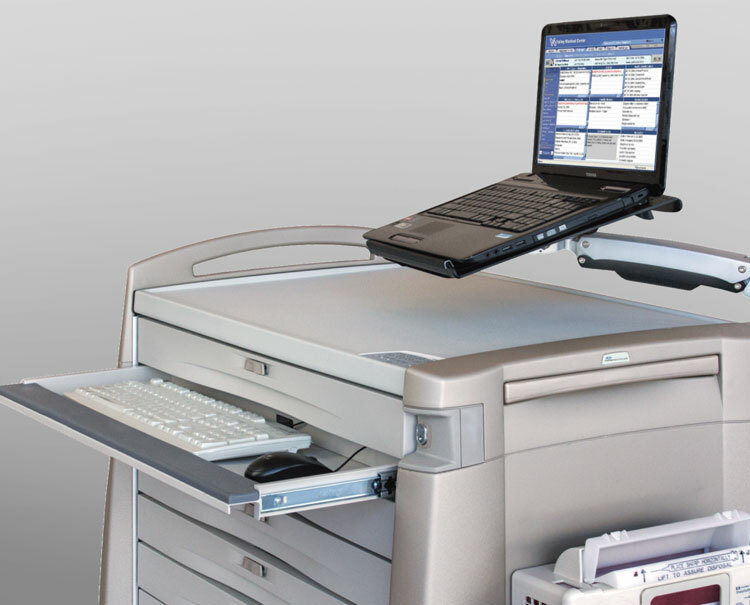 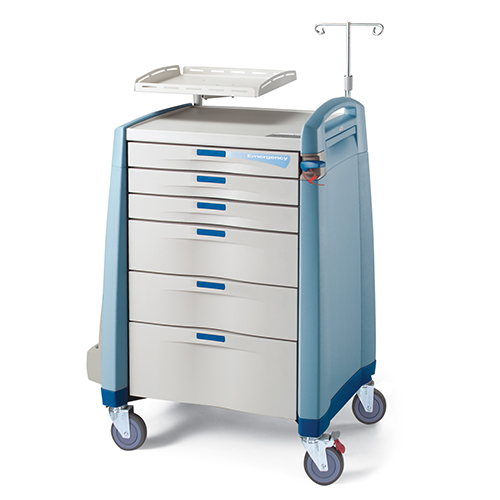 The I-Series Medical Cart platform allows you to configure for multiple applications including Emergency, Anesthesia, Procedure, Treatment, I.V. 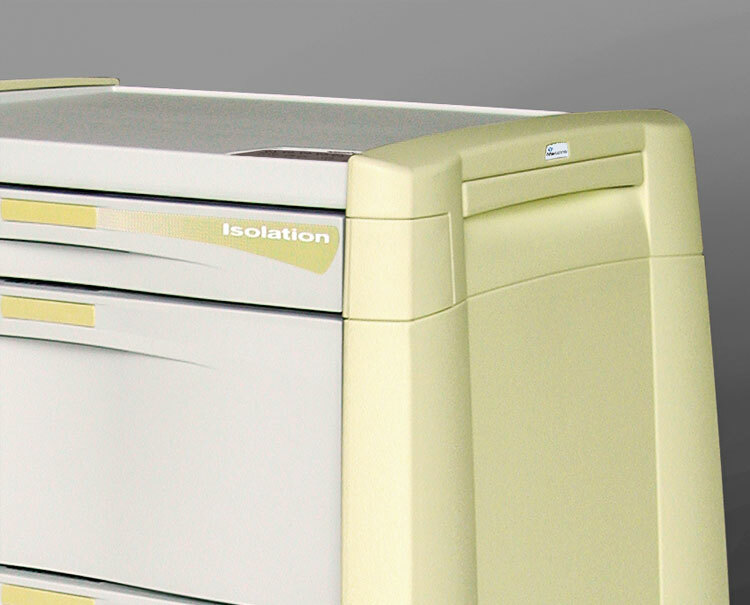 or Isolation. 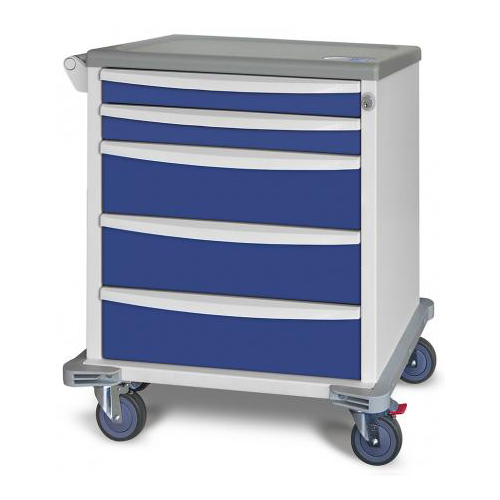 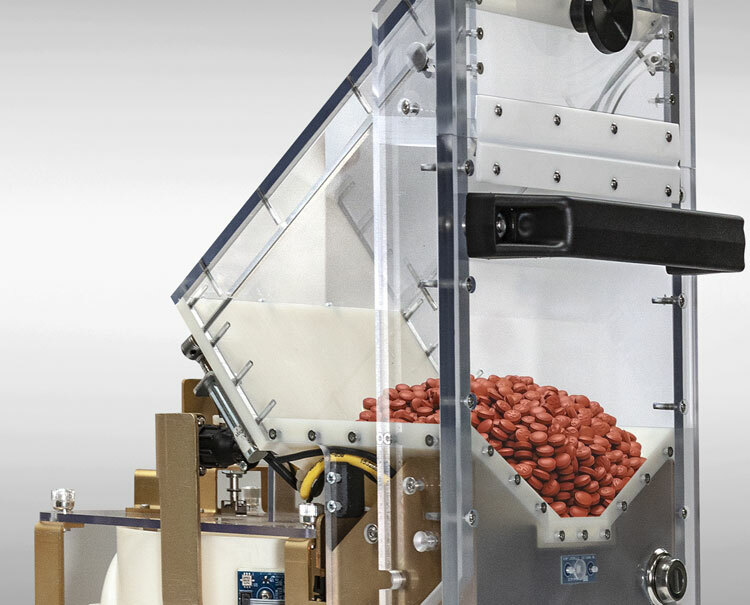 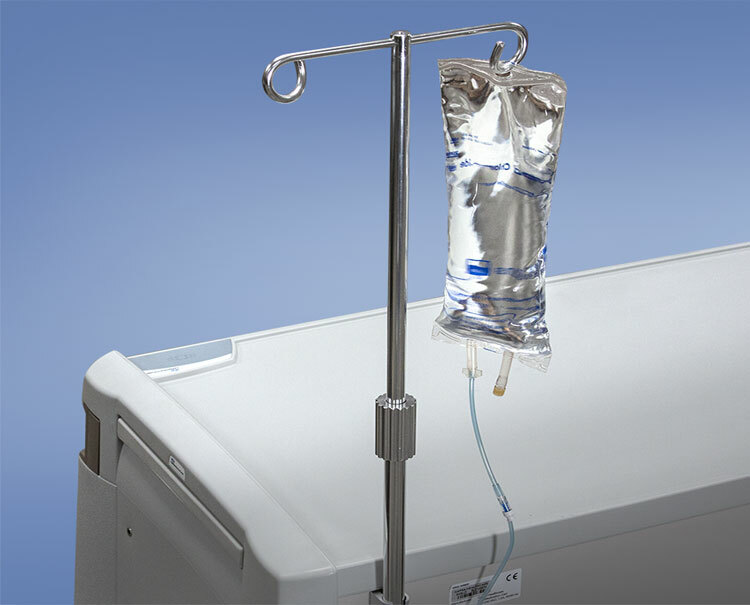 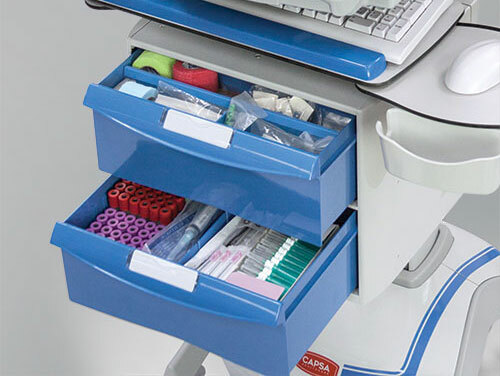 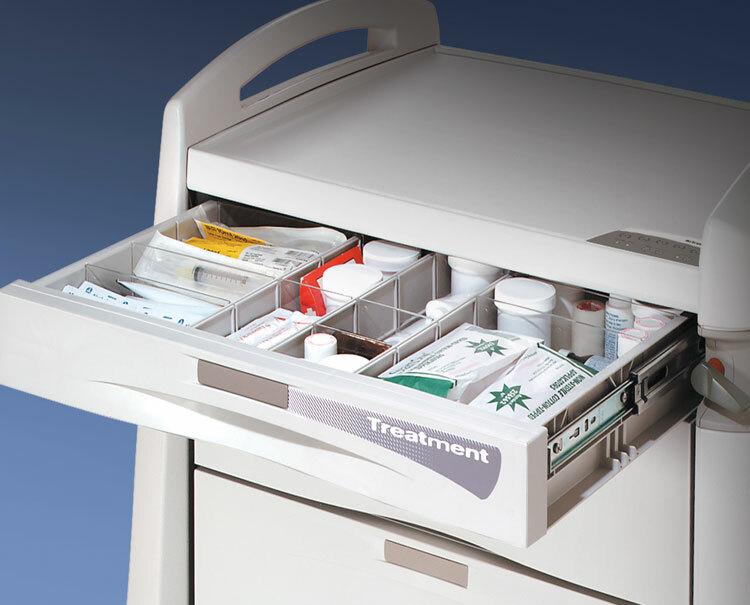 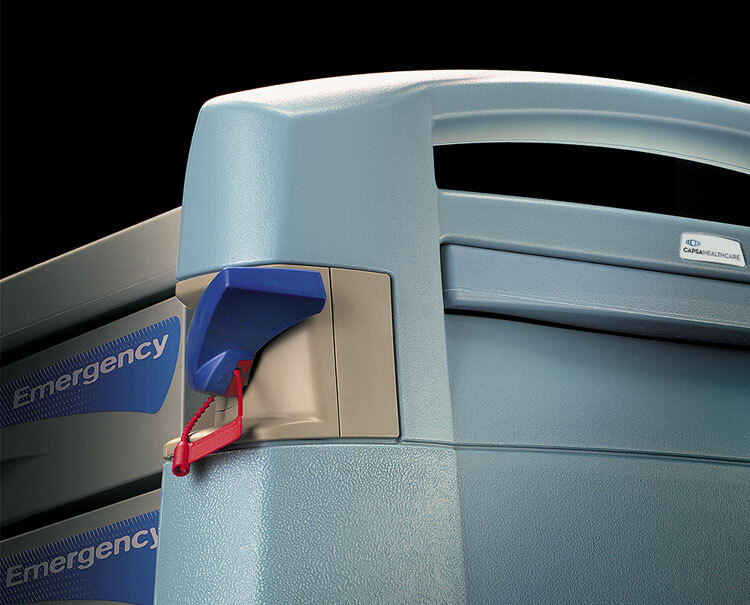 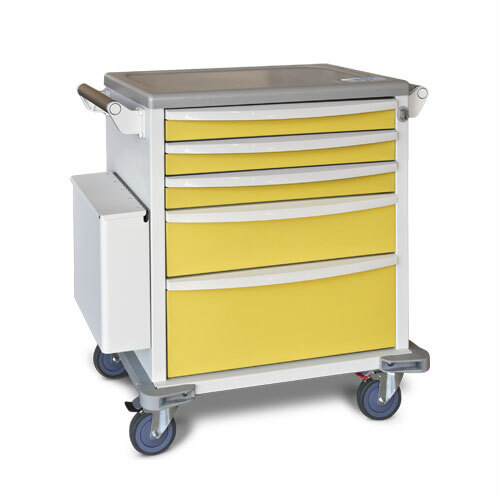 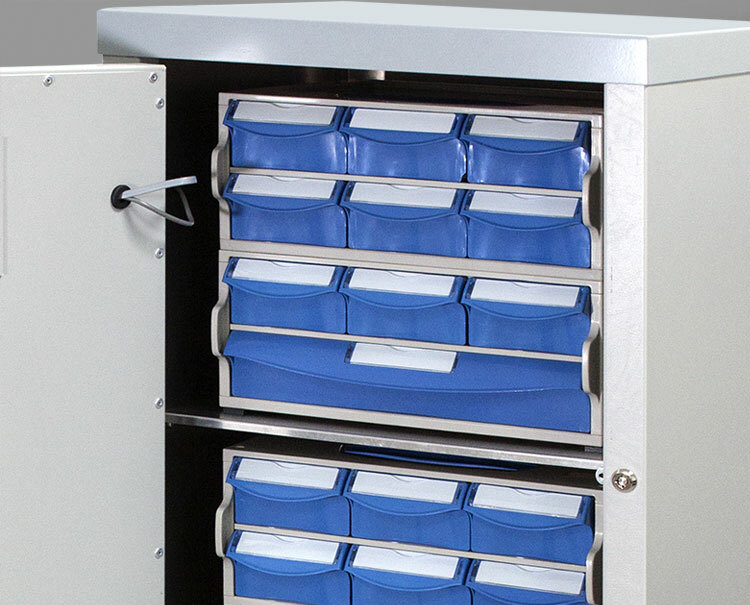 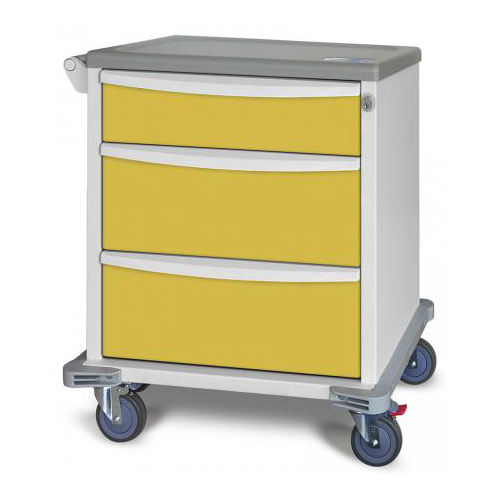 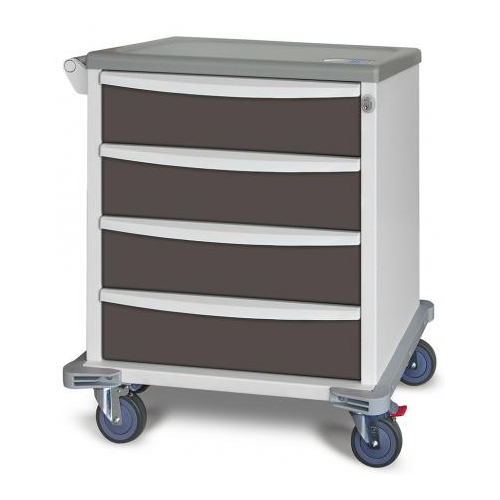 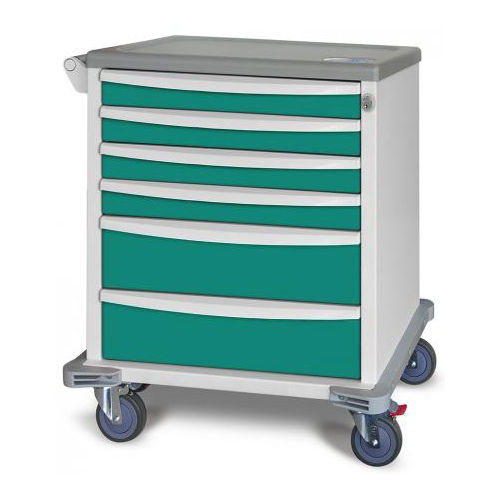 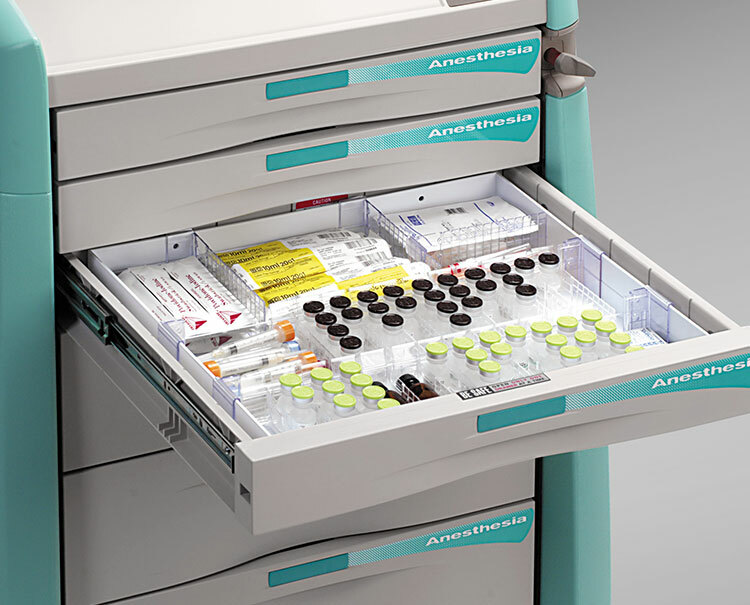 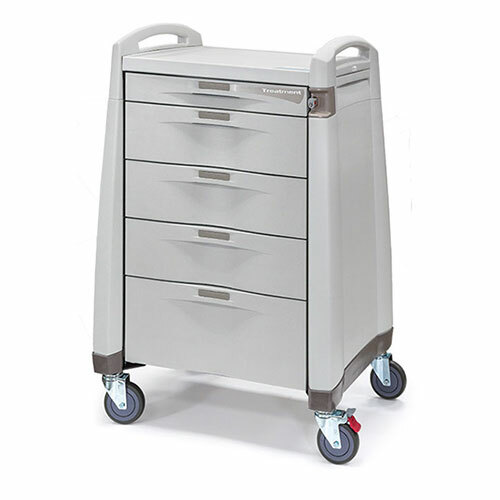 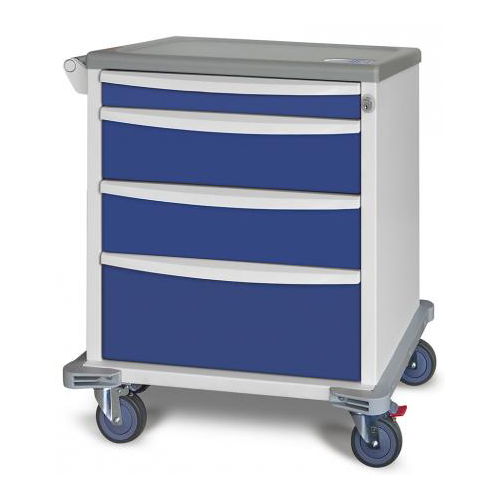 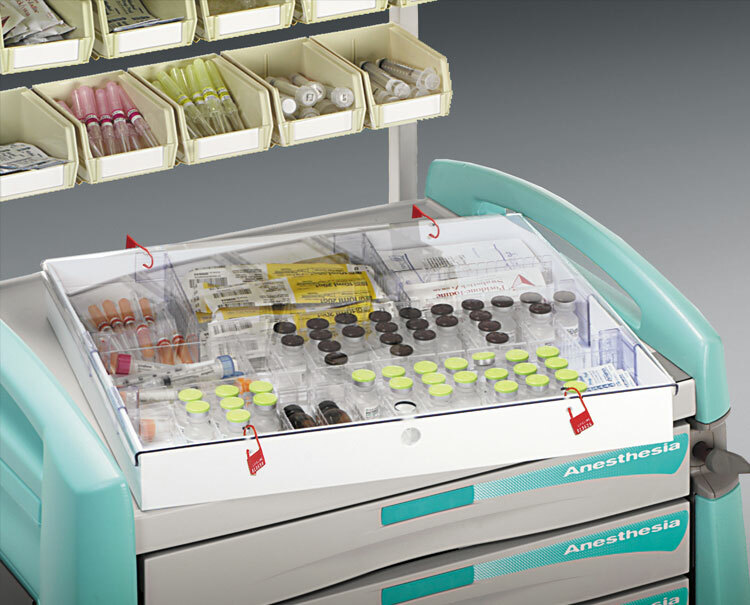 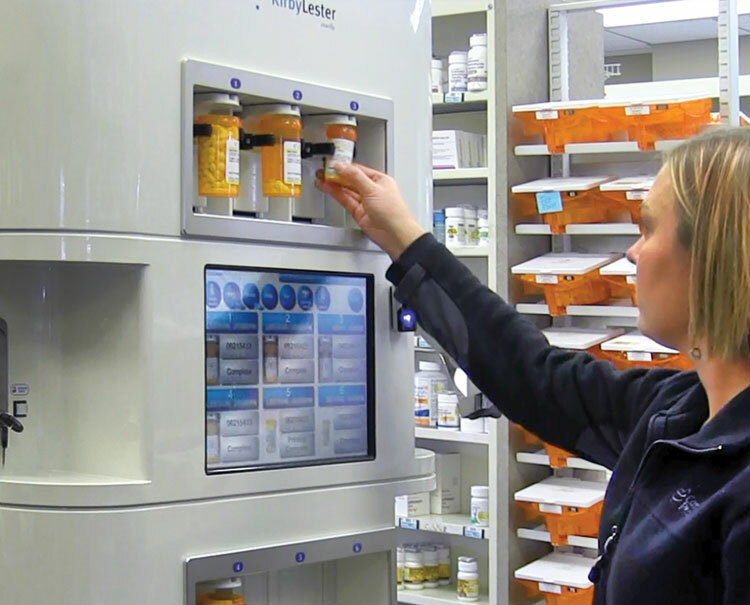 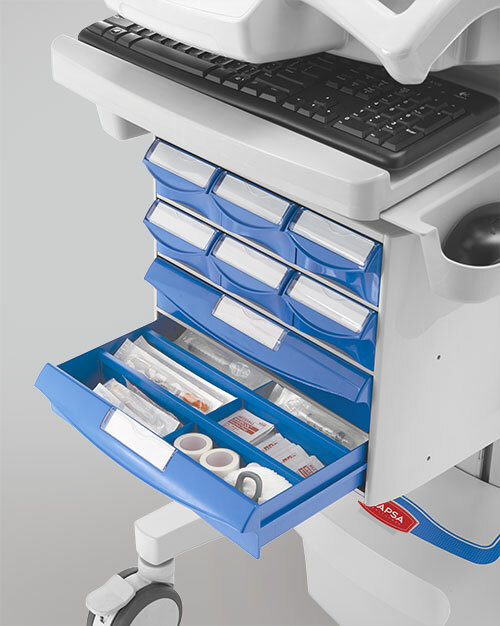 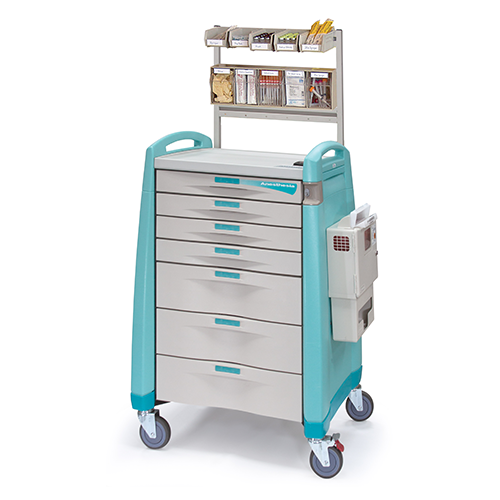 Available in 4 model heights, the I-Series Compact model suits highly-specialized storage or those applications that do not require a “large” medical cart. 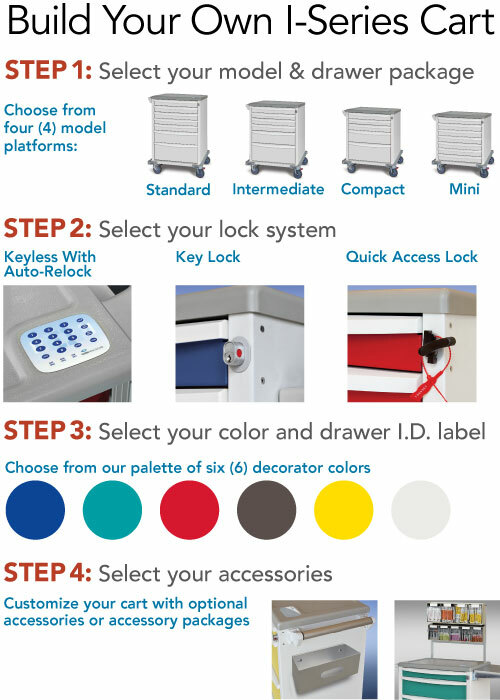 Configure your I-Series cart in 4 easy steps. 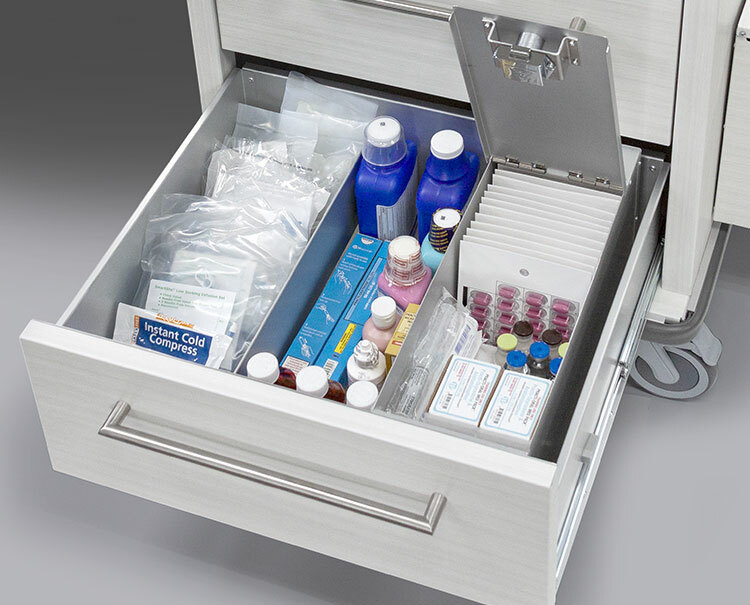 First choose from one of 4 model sizes and drawer packages, then a lock system, followed by color and drawer I.D labels, and finally the optional accessories to fit the application. 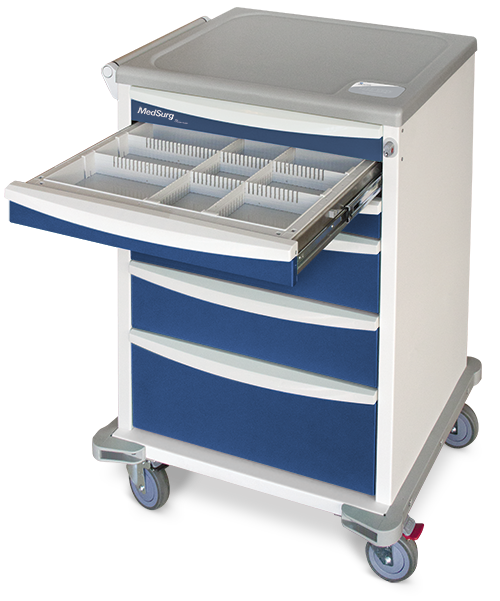 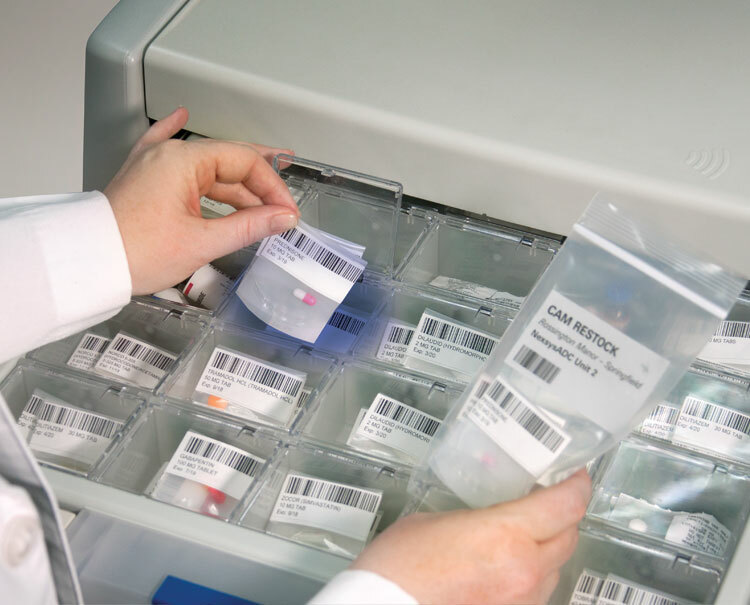 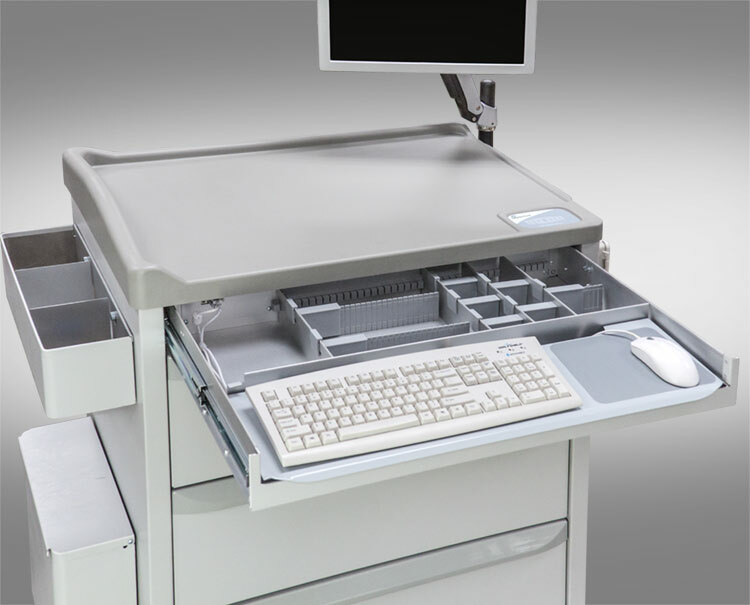 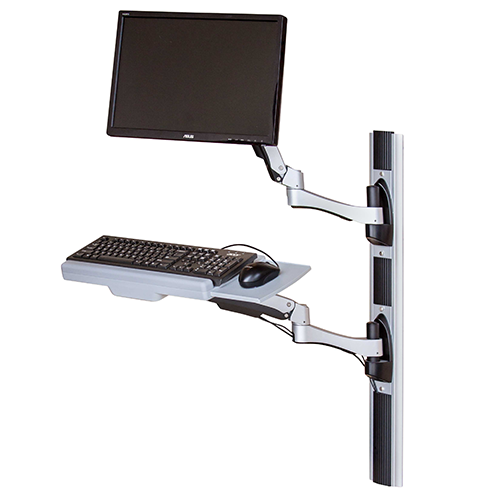 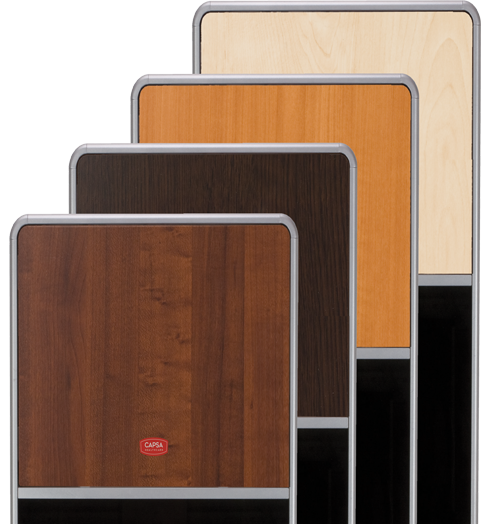 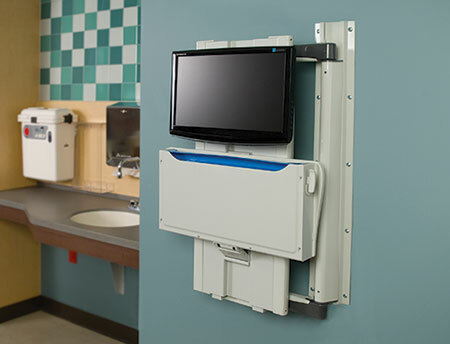 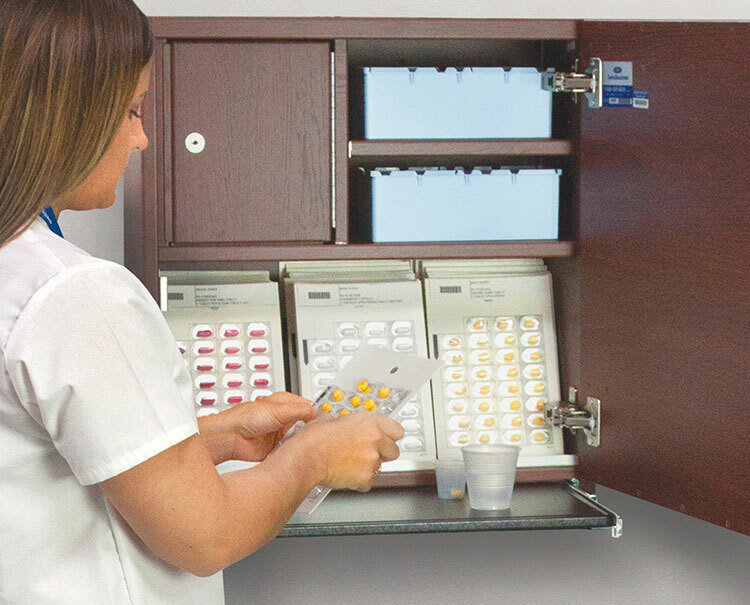 All I-Series carts are constructed of lightweight aluminum panels, sturdy internal frame, and premium drawer slides to ensure long-term value and durability.